I woke up this morning thinking about EVE Online, though my thoughts are never well-organized when first waking up. No one should hold me accountable for anything that passes through my brain until after I've had my second cup of coffee. I'm now seated here before this blog, second cup in hand, and am now ready to share a few personal observations on recent developments in flying and dying in Internet spaceships. Whose Opinions Should Matter re: 0.0? I had recently started a long, tedious, rambling blog post, following up on my previous entry about the coming jump drive changes for null-sec space. Realizing that it was long and tedious, I mercifully trashed it, especially when it was pointed out to me via Twitter by none other than Council of Stellar Management member and low-sec denizen FunkyBacon that any opinion on the future of 0.0 from anyone who does not reside in 0.0 should be ignored. When it comes to changes to null-sec, I agree that the opinions of those with direct on-site experience should carry more weight than those who opine from afar. But to discard any outside perspective altogether seems unwise, especially since what happens in 0.0 affects everywhere else in New Eden, including high-sec, and at least to some extent, vice-versa. I must admit that I enjoyed trolling FunkyBacon a bit too much - and I'm glad he took it in good humor. Still, I'm disappointed that he's convinced himself that changes in null-sec will have no effect on Empire. By design, New Eden is highly interconnected and interdependent. I worry that his isolationist attitude may be pervasive on CSM9. I'm somewhat comforted that Mike Azariah is there, who undoubtedly is providing a persistent voice for high-sec interests - and make no mistake, high-sec residents are every bit as interested in the emerging changes for 0.0 as any segment of EVE Online players, as they will be affected by them, at least indirectly. I am looking forward to reading the minutes of the last CSM summit meeting to see what kind of group dynamics are in play - those minutes are expected to be released by the end of October. CCP Greyscale announced further refinements to his nuclear bomb of a dev blog on long-distance travel changes, and they all appear to me to be quite reasonable. The very heavy nerfs to instantaneous travel remain mostly in place, but the noose around the neck of null-sec logistics was loosened a bit - jump freighters range got extended to 10 light-years, and hauling ships using jump bridges now get the 90% reduction in jump fatigue. Black Ops also got a bit of a reprieve by halving the jump fatigue effect of their portals, and by increasing their jump range to 8 light-years, giving a little more life back to hot-drops though they are much more restricted compared to the current mechanics. Overall, most players' reaction to these changes have been positive, though there is still a significant minority who steadfastly disapprove - some to the point of at least threatening to unsubscribe. As for me, the more I read about the changes, the more I like them, though they are far bolder than I expected. Only the previous CSM candidate and Pandemic Legion fleet commander Manfred Sideous seems to have anticipated the degree of change to force projection correctly. Like many interested observers, I hope that these changes will make defense of geography in null-sec relevant again, which should result in more fights. It will be fascinating to watch how the current 0.0 powers react over the next few months. I need to pay more more attention to announcements by the Red Frog Freight service before hopping in a freighter to do some space trucking. I had heard about a few gangs from 0.0 space coming down to Empire to play havoc with haulers plying the trade runs from Jita, but I didn't understand how many there were, until it was too late. Perhaps I should have realized that the giant swarm of CONCORD ships I saw while passing through Uedama was not an NPC pilots' family reunion. When you see a hundred white crosses gathered at a gate, that generally means that someone's been naughty, and that one should be more cautious. Well, I didn't, and I ultimately paid the price for my hubris, losing a well-packed Charon to a Goon gang in Niarja, the choke-point between Jita and Amarr. It wasn't so much the billions in collateral that I lost - that just means I have to get a little more active in the markets for a while - it's the fact that I missed all the signs of impending doom that annoys me the most. To their credit, this gank gang tried to contact me to negotiate, but I wasn't in the mood to embarrass myself further by begging for mercy. I simply blocked their convos and waited to pop. Fortunately, I was able to get my pod away safely, so at least my implants were spared. I have a rule: whenever you get ganked in high-sec, it's always your own fault. This was no exception. I should have been more alert. I shouldn't have crammed so much valuable cargo in my hold, and made myself such an attractive target. If you don't pay attention, you will find yourself involuntarily becoming "content" in New Eden! I now possess 18 kill rights for various Goons and some of their affiliates - though I honestly do not know what would be best to do with them. Does anyone have any useful suggestions? I paid $9.99 for the HD stream on CCP's Twitch TV channel to watch the EVE Vegas proceedings this weekend. (I also really wanted the special Quafe Megathron hull for my ship collection, too.) I'm primarily interested in the keynote address by CCP Seagull, Executive Producer of EVE Online, on the current and future state of the game. The next expansion, called Phoebe, is slated for release on November 4th, and I anticipate that she will highlight some of its key features in her remarks. Besides containing the aforementioned changes to jump ranges, Phoebe contains several interesting improvements and additions. Multiple market sell order creation: Though it will be generally ignored by many pilots, my favorite feature in Phoebe is the new "multi-sell" option, being worked on by CCP Punkturis. Though it has not yet been completed, this new capability will be a godsend to mission-runners and industrialists who often have to sell multiple items in the market. Currently, that has to be done one item type at a time, which can become extraordinarily tedious if you have more than a few things to sell. If you salvage and loot after missions, you definitely know what I'm talking about. I can't wait to be able to highlight a bunch of loot in my hangar, click "multi-sell" (or whatever they decide to call it), and instantly set up sell orders for all those at once. All hail CCP Punkturis! Unlimited skill training queue: There is a lot of buzz about the pending capability to set up skill training queues that go well beyond the current 24-hour limit. Now that I've surpassed 100M skill points, I find I'm only training really, really long level V skills, and it will be a blessed relief to be able to set up a series of these and forget about my queue for a few months. Some people say this will reduce the number of log-ins per day, but I don't think that will affect gameplay very much, as those people who just log in to update their queue from time to time aren't really interacting with others and creating content anyway. This feature is a good move by CCP Games. Compass display and... BOOKMARKS IN SPACE! : (I can't seem to write that without thinking about the "Pigs in Space" skits from the old Muppet Show.) I really like the new "compass" indicators to be added to the HUD while in space, which point to various locations in space around you. That should make it easier for pilots to orient themselves correctly and navigate to the right places. Even better, the ability to both make and see bookmarks in space is going to be wonderful, especially for pilots who rely on bookmarked places for their survival. Scouts and PvP combat pilots are going to love this new feature, for sure. The ability to create a bookmark in space, literally on the fly, and see its location in space, is going to make a lot of pilots very, very happy. Revised invention: I wrote a previous blog about my enthusiasm for the coming changes to invention, and my eagerness has not waned. Invention needed to be streamlined, and these changes do it well. I'm going to be interested to see how the new variability in invention outcomes affects my Tech II module production. Based on my back-of-the-napkin calculations, I don't expect to see any adverse affects, but I'm looking forward to testing that assumption. Notifications: I've been testing the new notification system that was made optionally available in the Oceanus expansion, and I like it quite a bit. You do have to fiddle with the various options to make it work for you, lest you enjoy being inundated in dozens of messages while you traverse the spacelanes. In Pheobe, this feature will be enhanced further. I recently traded tweets with CCP Karkur, asking her to add notifications for new contracts - she indicated that they were working on this and other new alerts as well. If you've not yet turned this feature on, I encourage you to do so. It's dramatically more elegant than the old notification messages. There is more planned in Pheobe, but these are the announced features that initially caught my fancy. I'll be watching CCP Seagull's address and keeping an eye on the dev blogs, in hopes of seeing some more additions. I hope to see more module re-balancing, at least. There is a live event ending today - a contest involving the contribution of "blue loot" from Sleepers destroyed in wormholes. 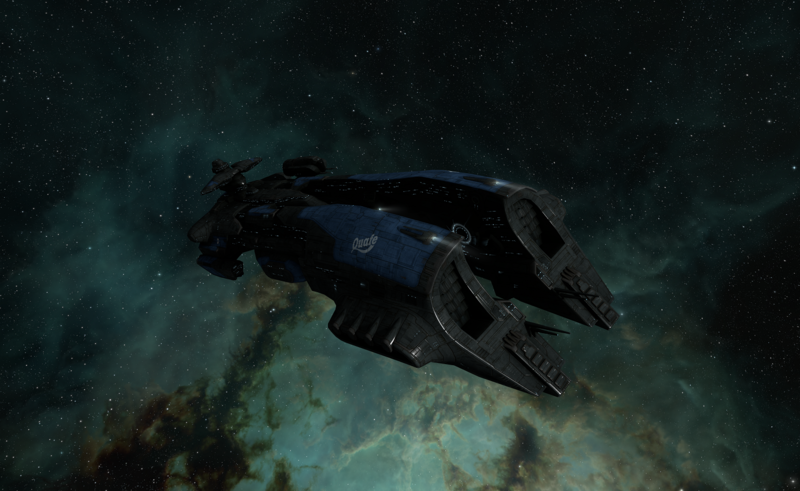 Read the dev blog from CCP Fozzie for the details. After you've read that dev blog, now go read Rhavas' excellent analysis of what it all means, in terms of game lore. He reveals that this contest is a deceit, and the Empires - and especially the Sisters of EVE - are not to be trusted. Instead, he recommended donating the requested items to independent capsuleer Guillome Renard. The contest ends today, and unfortunately it looks unlikely that independent donations will overcome the lead by the Caldari. Nevertheless, I applaud Guillome's initiative. Too many EVE Online players are ignorant of the game's lore, and how the different factions can affect our gameplay. For me, knowing more about the background stories in New Eden enhances my enjoyment of the game. If you aren't yet familiar with the many layers of EVE Online lore, start with Mark726's excellent Lore Survival Guide - the stories are fun, and definitely worth your while. Posted in Commentary and tagged with force projection, Ganking, jump range, 0.0, EVE Online, EVE lore, Phoebe. October 14, 2014 by Neville Smit. Today, CCP Greyscale made good on the promise to shake up null-sec by publishing the first of what will no doubt be a series of controversial and far-reaching dev blogs. This first set of changes cover force projection and jump drive ranges in very profound ways, much to the chagrin of many 0.0-based capital ship pilots. Pilots are now susceptible to a new mechanic, called "jump fatigue", which is essentially a cool-down timer between jumps that increases at a significantly (some might say over-dramatically) increasing rate for each successive jump. This timer reduces at a constant, relatively small rate per minute. So, in general, the more frequent and distant the successive jumps, the longer period of time that a jump-capable ship pilot must wait to jump again. To balance this, capital ships will be able to use gates in null-sec and low-sec, which compared to the longer jump travel times, could be more efficient for shorter distance travel. Jump Freighters and Rorquals will get a new ship role bonus that reduces jump fatigue by 90 percent, enabling them to do multiple jumps much faster and keep the flow of goods running in 0.0 and low-sec space. CCP Games anticipates that these changes will begin to be implemented in the next expansion scheduled for November, called Phoebe, with additional adjustments to be rolled out in the subsequent expansion, called Rhea, scheduled for December. Player reaction to these changes has been decidedly mixed, with many capital ship pilots expressing their dismay at the radical limitation to their operational range. In theory, these new limits should increase the importance of localized territory control and raise the number of smaller-scale skirmishes and fights, without escalating them into giant brawls like the "Bloodbath of B-R5RB". However, even CCP Greyscale admits that further adjustments to these proposed changes will likely be necessary before they are pronounced final. In the meantime, this first dev blog announcing the beginning of change to null-sec space has energized the player base, and is a harbinger of even more shake-ups that will reverberate through all of New Eden over the next few expansions. As one apt observer said on Twitter after reading the dev blog: "Whoa, Nelly!" Hold on to your butts, folks. EVE Online players are in for some very interesting times. Posted in Commentary, News and tagged with EVE Online, nullsec, force projection, Phoebe, Rhea. October 1, 2014 by Neville Smit.